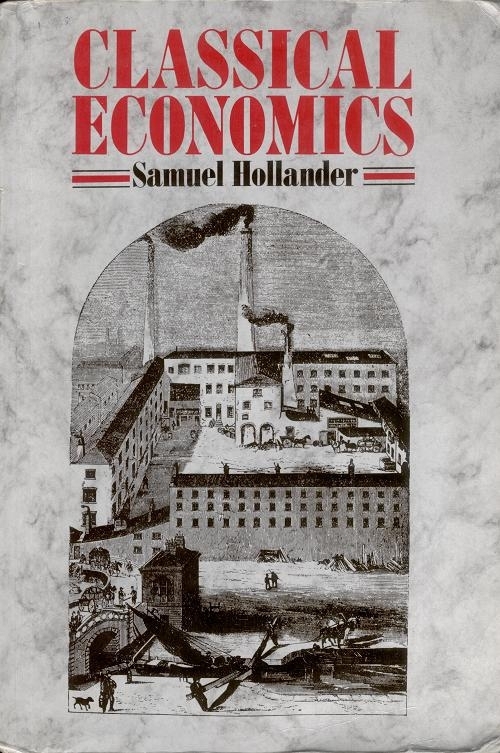 Is the Hollander rehabilitation of classical economics a success? I think that it is, both in presenting what classical economics was and in stressing how much of it remains in both modern Micro- and modern Macro-economics… it represents an advance over, say Mark Blaug’s Ricardian Economics (New haven, 1958) and Thomas Sowell’s Classical Economics Reconsidered (Princeton, 1974) primarily in its superior treatment of the ‘Cambridge critique.’ It is too much to hope for this volume the status of last word on classical economics, but it surely defines a new orthodoxy and becomes the next target – not to be confused with a sitting duck – for dissidents to attack. No eminent historian of economic thought (even Marshall) has promoted the unity-continuity thesis regarding analysis to the same extent and with the same breadth of scholarship as has Professor Hollander. His publications suggest that those who are impressed by the divergences and the discontinuities … should re-examine their positions.